Today’s stitch was the boxed puff stitch, a slightly more complicated variant of yesterday’s puff stitch. 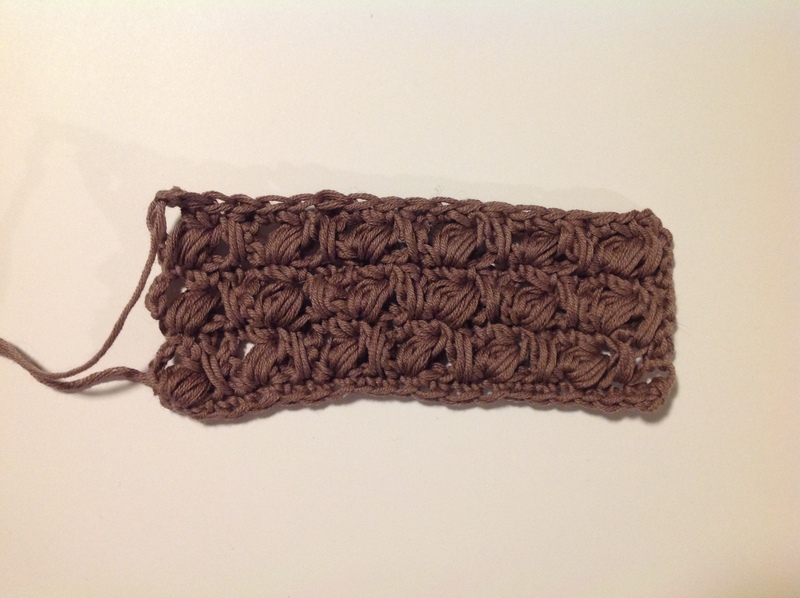 If you’re going to do do a single crochet foundation row, which I like to do, you’ll need to do it in multiples of three, then do the five stitch chain to get started. As I say, this stitch was a bit more complicated, alternating two different rows. I can’t say that I liked it much, as I think it just looks a bit messy, and the lefthand side especially is far from neat. Maybe I just didn’t get the stitches lined up properly – it is supposed to slant a little bit, but mine doesn’t. Still, it’s a new stitch learnt!